Super lightweight and comfortable – only 46 g. Flexible coil temples wrap-around to fit the user’s anatomy securely and comfortably. Spring-loaded temples will adjust to the user’s anatomy. Lightweight metal frame. 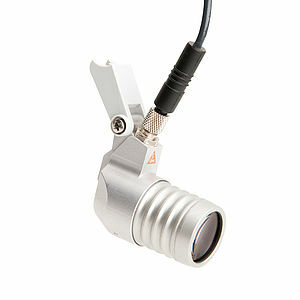 The ideal all-purpose loupe. 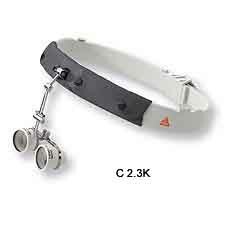 The feather-light weight, low-profi le design and low cost of the C 2.3 loupe make it the ideal all-purpose loupe. Lowprofile design. 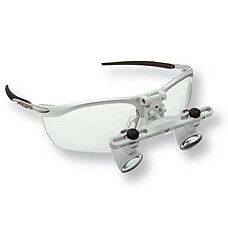 Compact, low profile optics allow the user to easily look over the loupes for non-magnified view. Working distance. 340mm or 450mm (13 or 18 inches). Also available as C 2.3 K on Lightweight Headband. 2.5 x Magnification:The increase in magnification over 2 x is greater than the figures suggest. 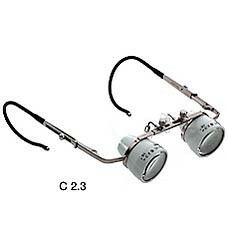 HR 2.5 x loupes offer an excellent balance between high magnification, field of view, depth of field, and ease of use. 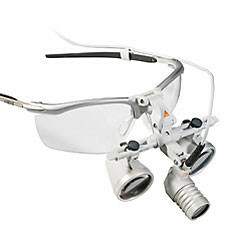 The 2.5 x loupes are ideal for a wide range of applications such as dental, ophthalmic, cosmetic and reconstructive surgery. The HR 2.5 x is our most popular model. 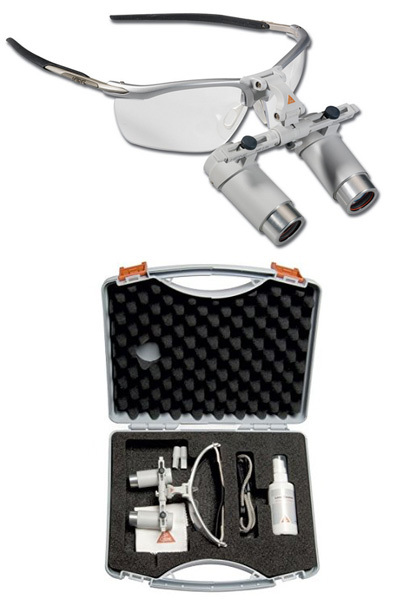 Ideal for surgery and dental surgical procedures. 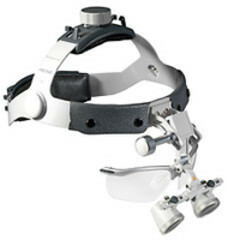 Fully adjustable for height and width to fit any head. 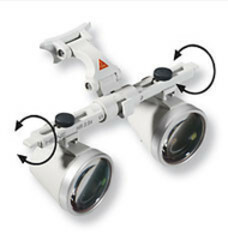 HRP Binocular Loupes of 3.5x magnification or higher are recommended for fine surgical procedures where high magnification is necessary, for example in endodontal, vascular, neuro, and intricate orthopedic surgery and for experienced users. 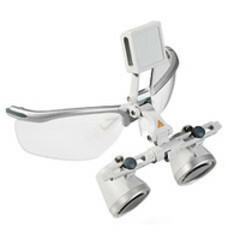 HRP loupes have been designed to provide the largest field of view and best depth of field possible for each magnification. Achromatic optics for crisp, bright images from edge to edge. 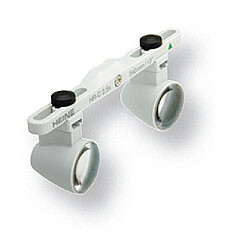 Highest magnification: Choice of 3.5 x, 4 x and 6 x.
Multi-Coated optics for crisp, bright images. 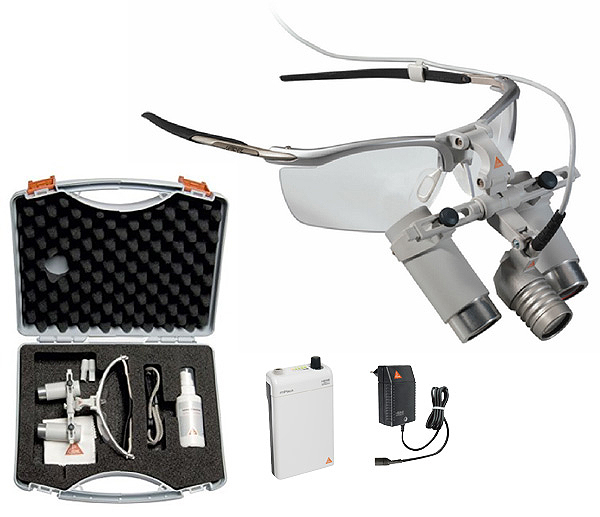 The combination of light and loupe delivers the ultimate in performance as high quality illumination with LED HQ maximises the image quality of the loupe. For a perfect view and a precise diagnosis, the LoupeLight 2 is now 25% brighter than its predecessor model, with a homogeneous edge-to-edge illumination of typ. 55,000 lux. 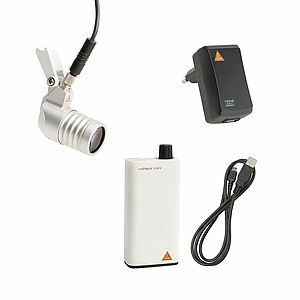 For intensive use, the LoupeLight 2 now features a replaceable connecting cord which connects the device to the mPack mini – the new and compact power source for the LoupeLight 2.